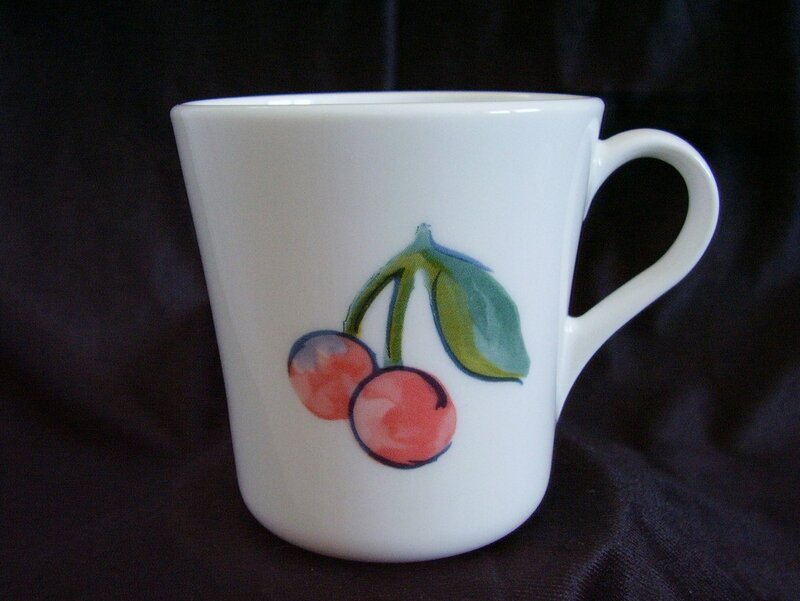 Corelle Fruit Too coffee cup. The Corelle Fruit Too pattern has been retired. This pattern coordinates with Fruit Basket and Fruit Mix and Match. 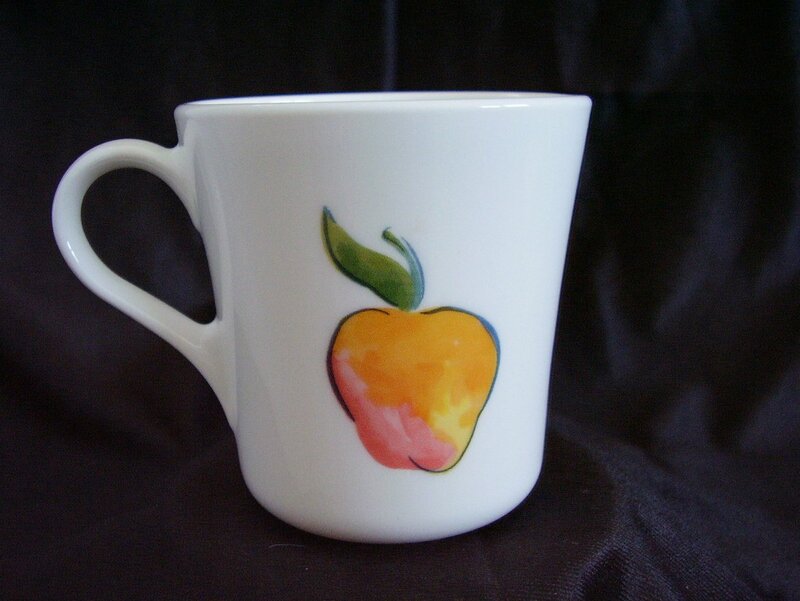 Corelle Fruit Too coffee cup. The Corelle Fruit Too pattern has been retired. This pattern coordinates with Fruit Basket and Fruit Mix and Match. The pattern shows cherries on one side and the other shows the apple. In excellent used condition, it has no cracks, chips or scratches. Decals are bright, shiny and intact. Measures 3 3/8 inches tall and 3 1/4 inches in diameter, holds 8 oz. There are extras available.